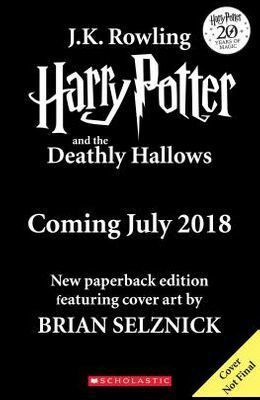 A special new edition in celebration of the 20th anniversary of the publication of Harry Potter and the Sorcerer's Stone , with a stunning new cover illustration by Caldecott Medalist Brian Selznick. We now present the seventh and final installment in the epic tale of Harry Potter. This gorgeous new edition in celebration of the 20th anniversary of the publication of Harry Potter and the Sorcerer's Stone features a newly designed cover illustrated by Caldecott Medalist Brian Selznick, as well as the beloved original interior decorations by Mary GrandPr .